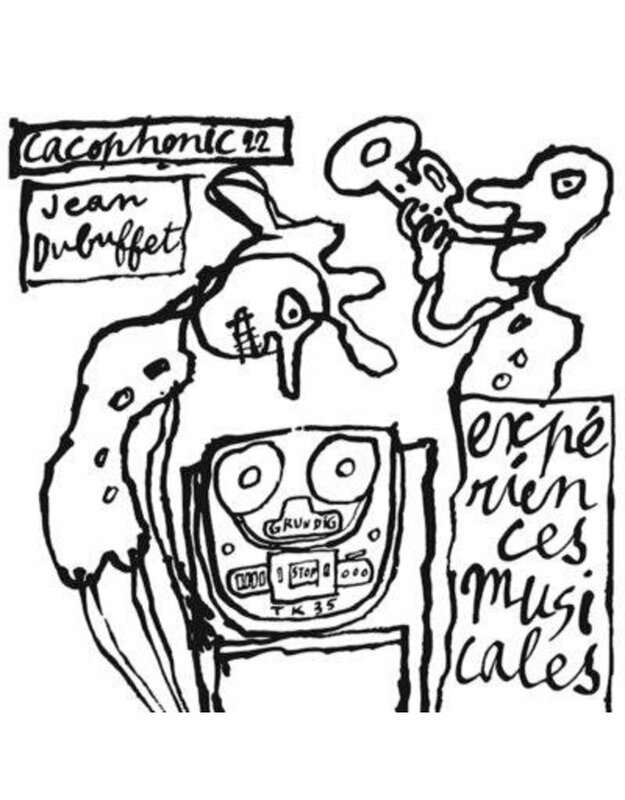 If ever a phonographic accomplishment could encapsulate the precise modus operandi of the Cacophonic label, then the Expériences Musicales sessions made by French born painter, sculptor, music maker, wine merchant and founder of the Art Brut movement, Jean Dubuffet would be a prime candidate. 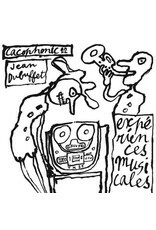 Originally released as an impossibly rare six record box set containing Dubuffet’s first long anticipated forays into sound sculpture and spontaneous artistic noise, these intimate early 1960’s recordings show a lesser-known side of this important artist’s personality and stand up as a vital document in both fields of contemporary art and experimental music. Finally released to a wider audience and presented complete with Dubuffet’s signature style artwork this abridged vinyl edition includes specific selections curated by the artist himself, in conjunction with experimental music pioneer Ilhan Mimaroglu, and showcase what the two leading lights of modern art consider to be the best moments of this historic session. On this limited vinyl pressing Dubuffet succeeds in translating his unique spontaneous creativity and active support of Low Art into musical forms, a process with which he would also collaborate in his dual compositions with Danish avant-gardener Asger Jorn (for a separate series called Musique Phénoménale). Utilising a wide range of orthodox acoustic instruments ranging from violin and open piano to duck whistles and not musical apparatus this set of eight pieces (culled from a potential twenty tracks made under the Expériences Musicales banner) sees the work of the artist approaching music from the perspective of “a man of 50000 years ago”. Recorded at Galleria del Cavallino in Venice Italy during the first months of 1961, these primary experiments with music followed over twenty years of Dubuffet developing his own unconventional artistic persona as an instantly recognisable pioneer of post-war artistic abstraction. His visual art alone, which would go on to inspire and genuinely motivate artists to feed on there rawest spontaneous instincts (hence the translation of Art Brut, meaning Raw Art), would also have huge influences on writers, performers and musicians (from punk to jazz) to this very day. It is surprising, however, how the fruits of Dubuffet’s short-lived anti-career as a non-musician have never fully filtered down to some of his greatest champions. From an original gallery promoted artifact (which can now command fees of up to 5000 euros complete with its original art-prints intact) this highlighted version of Expériences Musicales is now available again on authentic vinyl to the wider public. The recordings you will find within the grooves of this LP were created without any reference and in the artist own words “without any discipline, without anything that would present the artist from expressing himself freely and for his own good pleasure.” Almost sixty years have passed since this sonic objet d’art was first realised, and with all the technology and the advanced science-of-sound, decades of so-called experimental musicians are still struggling to find that Brut energy within their creative endeavours making this early example one of vital existence.